We all need a little help at some point during our lives and getting older is a time when many of us need more help than we used to. 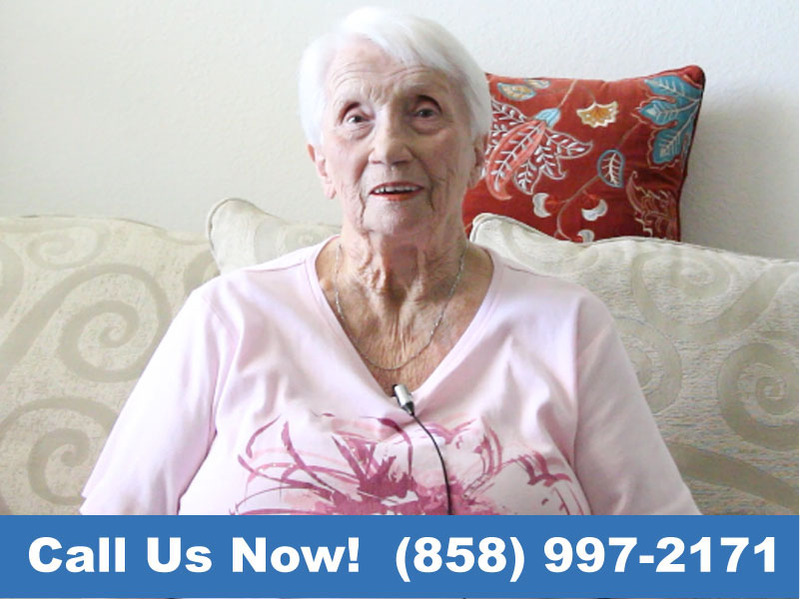 Heaven Heights Senior Care offers renowned senior citizen care and attentive senior in home care in the San Diego area of California. Fully trained caregivers provide friendly social, personal and medical care for you or your elderly loved ones, depending on your needs. Getting older doesn’t necessarily mean you need to become completely dependent on someone else. With our assisted living for seniors you can remain your autonomous self, based in your own home, with specialized aid to help with your day-to-day needs. Heaven Heights Senior Care is noted as the leader in senior services and non-medical senior care, with number one customer service. We are well known as San Diego County’s most knowledgeable provider of senior home health care; all of our caregivers are rigorously trained to take care of your daily living, with a courteous and warm disposition that will make them quality senior caregivers and friends. Heaven Heights Senior Care offers a wide range of care options, with services including at home senior care, assisted senior living, specialized care for veterans and dementia clients, as well as personal and social assistance. Our Independent caregivers are fully capable of caring for you or your elderly relative in your own home, enabling you to retain your independence and feel as comfortable as possible as you get to know your assigned caregiver. The senior home care services available with Heaven Heights Senior Care cover transportation, socializing, medication administration and personal care. Our home senior care involves all caregiving tasks, excluding medical nursing activities that could be performed in the home such as bathing and changing dressings for wounds or operations. Our independent caregivers will provide help with washing dressing and mobility alongside household duties, including meal and nutrition preparation, cleaning, and grocery shopping. The medical side of our senior care at home consists of scheduling reminders to take medications, collecting prescriptions and accompanying a client to a doctor or hospital appointment to aid them in following their health care plan. We also assist you with transportation, attending social groups and offer companionship care. At Heaven Heights Senior Care you can choose from one of our assisted living facilities, where you can obtain a free live-in placement, in home assistance and home care, or full time care with a caregiver placed in your home. We provide part time or full time care, from just a few hours to 24-hour care, based on your specific needs. The team at Heaven Heights Senior Care are specialists in Alzheimer’s and dementia care, with compassion and expertise in managing behaviors, caring for the physical, emotional and mental symptoms of the condition and ensuring you or your family member feel safe and secure, particularly in their own home. As a senior homecare provider, we also offer specialist care for clients with Parkinson’s and are adept at helping you to adjust to your everyday living. Our caregivers can assist with progressing symptoms to make your life as easy as possible, while allowing you to remain independent in some ways. Getting older can often make people feel anxious when considering the illness, ailments or disabilities sometimes associated with the aging process. Elderly people can feel more vulnerable if unable to undertake certain tasks when caring for themselves, especially if you are removed from the familiar and comfortable surroundings of your own home. Heaven Heights Senior Care aims to make you feel respected and comfortable during your care; our caregivers not only provide practical in home care for seniors but also try to build a relationship with our clients, created through mutual trust and communication. You are in control of your own care, with help and advice from you and your loved ones forming the basis of our care plan for you. The home care services for seniors provided by the team at Heaven Heights Senior Care is more cost effective than lengthy hospital stays or moving out of your home into an expensive nursing home that may not be able to offer the same amount of time or personalized care to you. Whether we are helping you with your day-to-day needs or to recover from an operation or illness, our top quality services will cost you less in the long term than mounting hospital bills. Family run since 2010, our founder has over fifteen years of experience in the industry, which she has passed on to the diligent caregivers here at Heaven Heights Senior Care. We strive to make sure our clients feel at ease with the caregivers they come into contact with and try to assign the same caregivers to the same clients every time they visit. Our caregivers regularly undergoes fresh training to keep up to date with your needs and develop a specific care plan, tailored to you as an individual. Every caregiver at Heaven Heights Senior Care is fully trained, both in the medical and practical aspects for your care and all personal, social and compassionate elements involved in making the latter part of your life healthy and happy. Whatever help you need, do not hesitate to ask your caregiver or contact any member of our team. Speak to your doctor about your individual needs and contact us at Heaven Heights Senior Care to improve your quality of life with our senior home care services. Senior care means your everyday living suffers as little disruption as possible as you get older, while our home care allows you to continue your current lifestyle and remain close to your family, without any added concerns or stress. It can also be difficult for relatives whose loved ones are in need of senior care; our services allow them the peace of mind of knowing you are well cared for if they are unable to help.